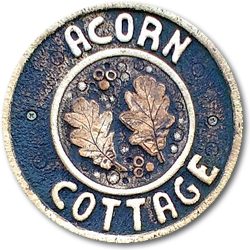 From the cottage door and close-by, there are a number of great mountain bike, road cycling & family routes so Acorn Cottage, Ingleton makes a great base for a self-catering cycling holiday. It has lockable bike storage as well as bike wash & stand facilities (just ask us for these.) The cottage owners are pleased to share their local cycling routes knowledge. (Here’s one of them out on a local evening ride around Austwick.) If your bike ever tires of the Yorkshire Dales, there is also the Lake District, the Howgills and the Trough of Bowland close by. Crummack Dale Dab, on the Pennine Bridleway, is a good introduction to the Three Peaks area mountain biking. It is a circular 12 mile route from Clapham but you can start it from Ingleton by cycling to & from Clapham on the Clapham Old Road (about 3 miles each way along a very quiet straight road.) There is a route map here. A similar route was recently highlighted in the MBR Britain’s Best Singletrack feature. The conclusion was “Catering for all, a firm favourite of many and boasting numerous off-shoots and diversions, its the perfect introduction to the magic of the Yorkshire Dales”. 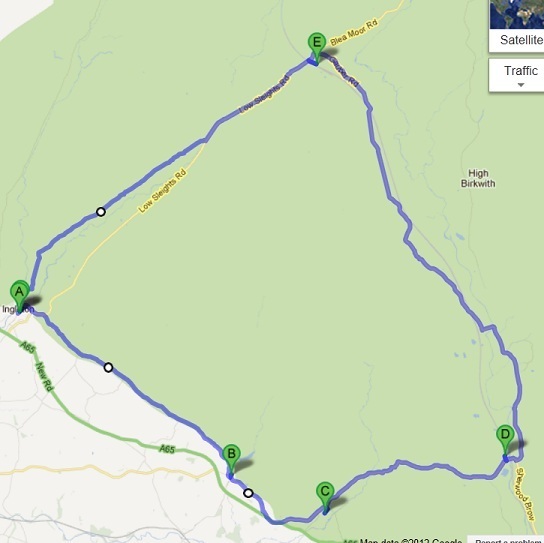 The Settle Loop (10 mile) takes in stunning limestone scenery including views of the nationally important Malham Tarn. Here’s a taster of it. The cottage is only 10 miles (a stunning drive across the moors) away from the Gisburn Forest new mountain bike trails & skills loops. It has a good cafe which is normally open at weekends (check this before visiting snackless). E – Ribblehead then back to Ingleton. (Turn right soon after the Old Hill Inn onto the Roman road which is much quieter than the B6255). The Lancaster Cycle Way is a brilliant place for families from complete beginners, tag-alongs to competent teenagers. If coming from Ingleton, we recommend parking at Bull Beck. You can then cycle all the way off road to Lancaster and then beyond onto Morecambe or Glasson Dock with coastal views- 95% off road. More details here. See further route suggestions here. Another set of family/easier cycling routes here. See the new Swale Trail which is billed as a mountain bike ride for beginners (Keld is a 50 minute car journey from Ingleton) through stunning Dale scenery.